This Chardonnay shines with a buttercup yellow color. Aromas of fresh fruits, crisp apple, peach, citrus and toast from French oak are pronounced. It is smooth and creamy, with a clean finish. The grapes for this wine came from south-facing IGP vineyards in the Pays d’Oc department of Aude, a few miles from the Medieval city of Carcassonne, in the high valleys of the foothills of the Pyrenees Mountains. Between the lush mountains and the deep blue Mediterranean Sea, it has an ideal climate for growing grapes. After picking and destemming, the juice is pressed and undergoes fermentation at controlled temperatures in stainless steel vats, with frequent pumping-over during the process. 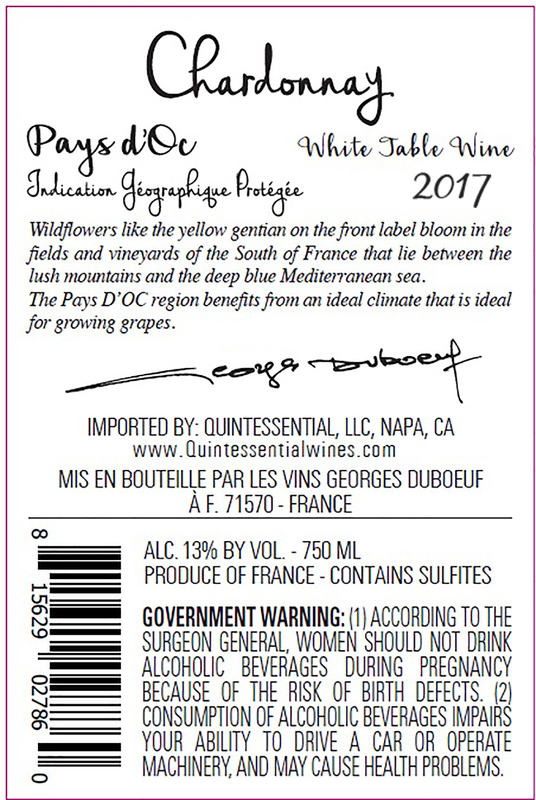 The flower pictured on the Chardonnay label is the Yellow Gentian, which bloom in the fields and vineyards of the Pays d’Oc. 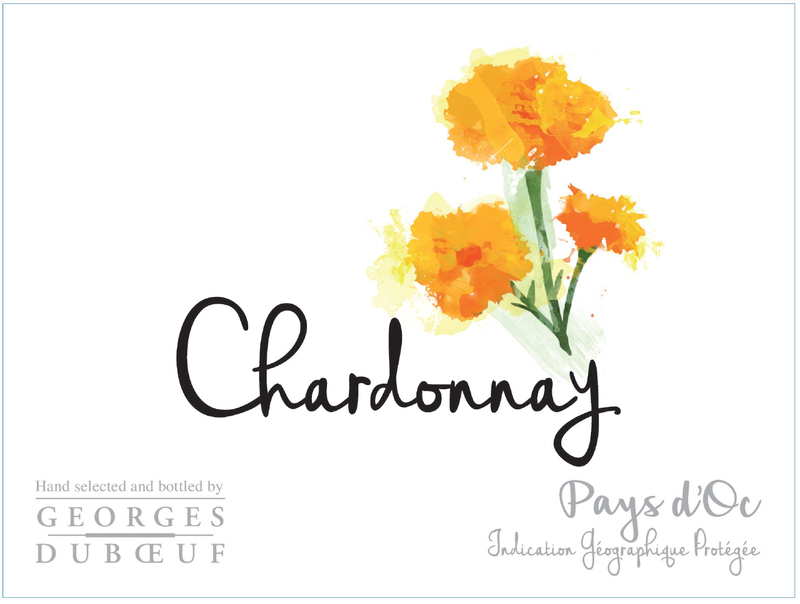 Pays d’OC Chardonnay is a great accompaniment to fish and seafood of all types and preparations, including Sushi, avocado with shrimp, grilled fish, exotic Asian dishes, orange salad with mint.